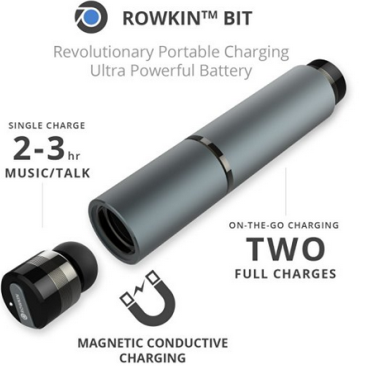 One of the Gold Box deals of the day at Amazon is the new condition Rowkin Bit Stereo True Wireless Earbuds offered for $80 with free shipping, in three color schemes, sold by Rowkin, with the orders fulfilled by Amazon (Prime eligible). These are bullet-shaped, with a pen-style charging case. They average 3.3 out of 5 based on 880+ customer reviews and they have 230 answered questions over there. The sale ends on Monday at 3am ET.